This soundpack features a big collection of very unique glass effect recordings. The sounds were captured during extensive recording sessions in the field and in a recording studio. This soundpack features a big collection of very unique glass effect recordings. The sounds were captured during extensive recording sessions in the field and in a recording studio. All sounds were recorded, edited and mastered in High Definition Audio @ 24 Bit, 192 KHz. 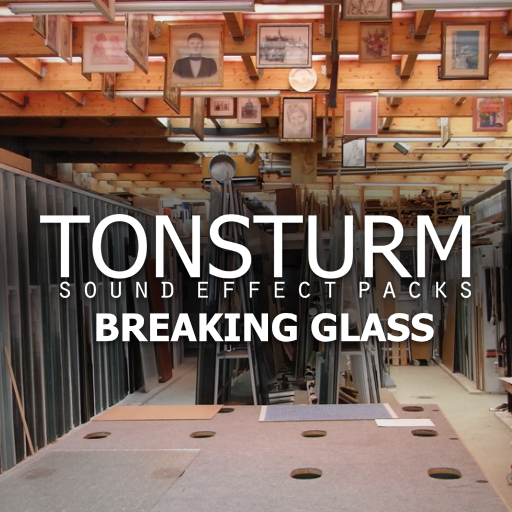 With TONSTURM 01 | BREAKING GLASS you get 100 sound files containing over 500 different glass sound effects. We have collected all sorts of different glass types to make this soundpack possible. You will find hits, smashes, impacts, cracking, friction and a lot more, recorded from huge 4m² glasspanes security glass, insulated glass, laminated glass, wired glass, car windscreens e.t.c. One part of the recordings took place in the field during almost quiet nights, the other part in a foley recording studio in Cologne. To capture the different sound performances some unique approaches have been taken. For example, the car windscreen recordings took place in the studio, where we used a Schoeps MS setup combined with a pair of C-Ducer frap mics attached to the body of the car windscreen. The mixture of the two signals provided very nice, crisp and meaty sounds of breaking and ripping windscreen glasses. 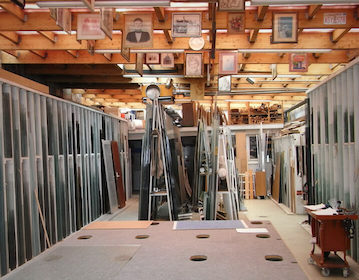 Additional smaller glass objects were also recorded in the Studio. For the field recording sessions we organized wind up tripods to lift the glass panes from the ground. The idea was to lengthen the period between the impact and the debris by a time gap. This way we could capture very defined sound events. We believe the fact that this sound pack was recorded in the free field plus the noticeable gap between impact and debris makes the recordings unique and highly flexible. Also listening to these 192 kHz recordings at lower pitches reveals a beauty of its own!